The SQL Builder supports the SQL Query Statement types SELECT, INSERT, UPDATE and DELETE. 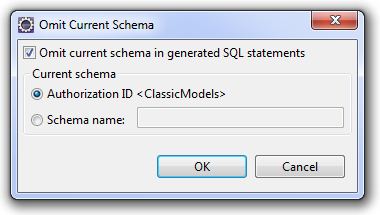 If the statement syntax does not match these types, the SQL builder helper parts are disabled. The SQL syntax is always verified and errors are shown with red squiggly underlines. Hover the mouse over this location to display a tooltip which will indicate the current problem. To re-enable the SQL Builder, correct the SQL syntax and make sure to have the correct types that are listed above. As the statement builds up, the left side will show the result set columns with the SQL datatypes.